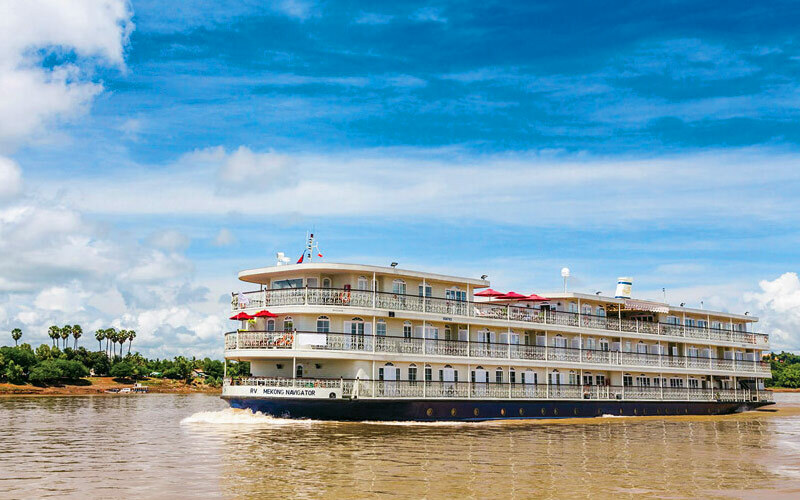 Explore the timeless wonders of Vietnam, Cambodia and the Mekong River in a multilayered adventure on the charming decks of Uniworld's Mekong Navigator. 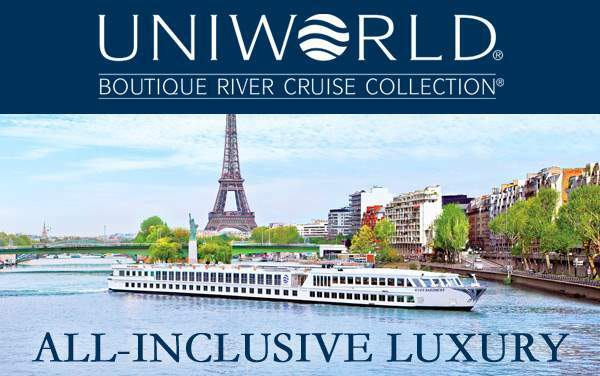 This all-suite river vessel features 4 Superior Suites, 10 Vista Suites, 16 Signature Suites, 2 Prestige Suites and a pair of Grand Suites with private verandahs. 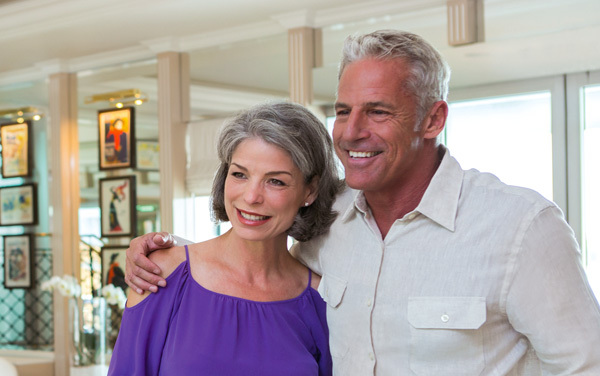 They range in size from 258 square feet to 545 square feet, featuring the perfect blend of elegance and modern luxuries. 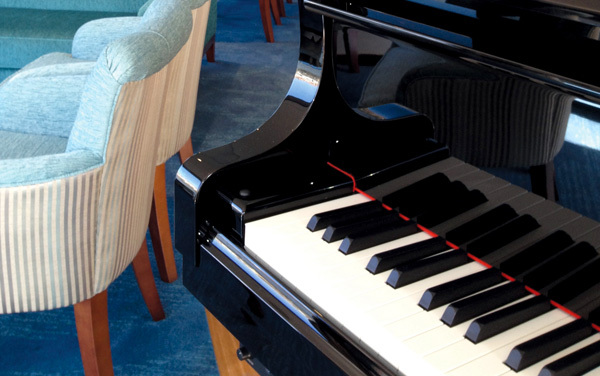 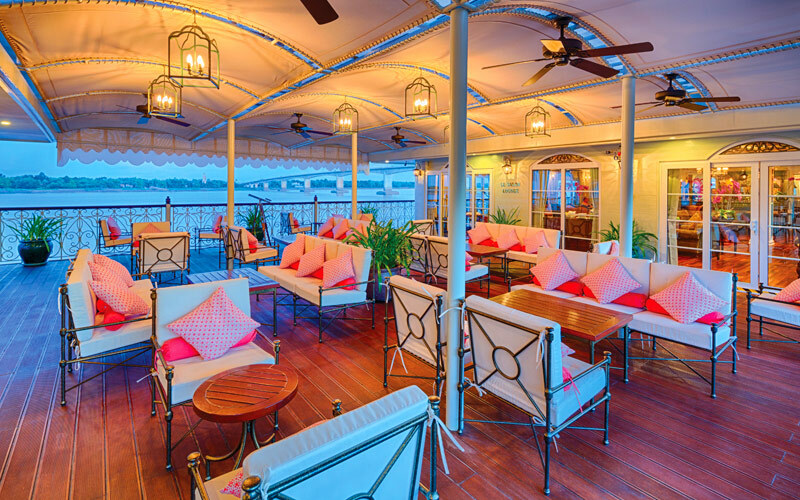 With a 2-1 guest-to-crew ratio on this 68-passenger ship, expect nothing short of timely service, sophisticated lounges and comfortable ambience highlighting the French Colonial era. 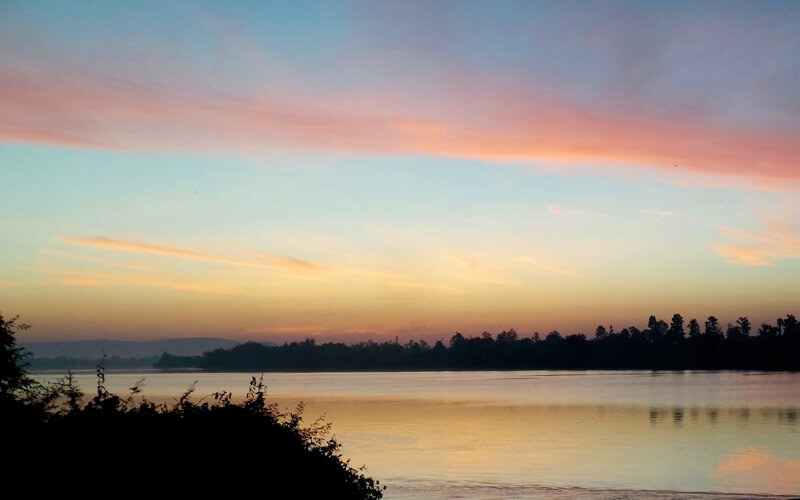 Enjoy a relaxing day at the spa and a few fascinating excursions in two of the most beautiful, historic and friendly places in all of Asia – Vietnam and Cambodia. 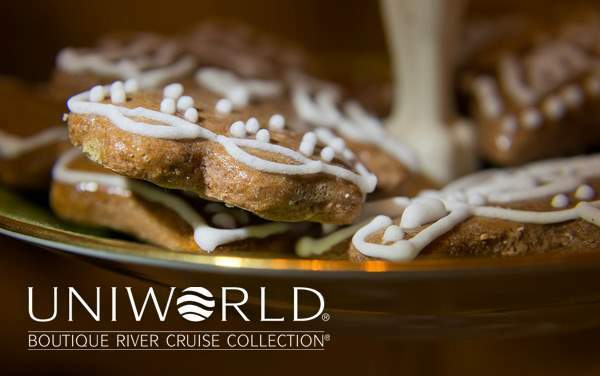 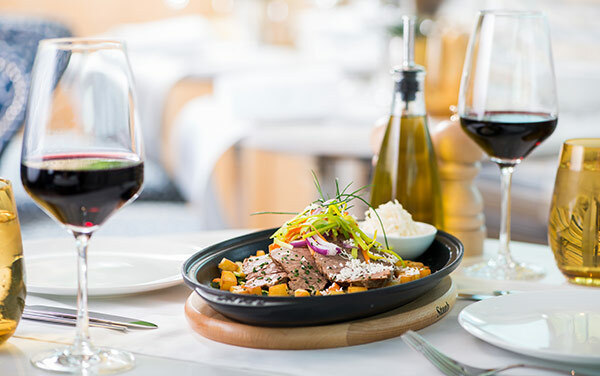 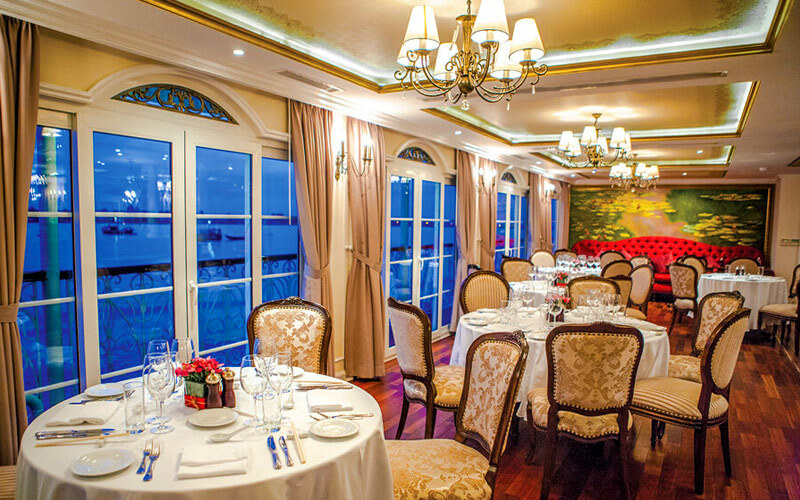 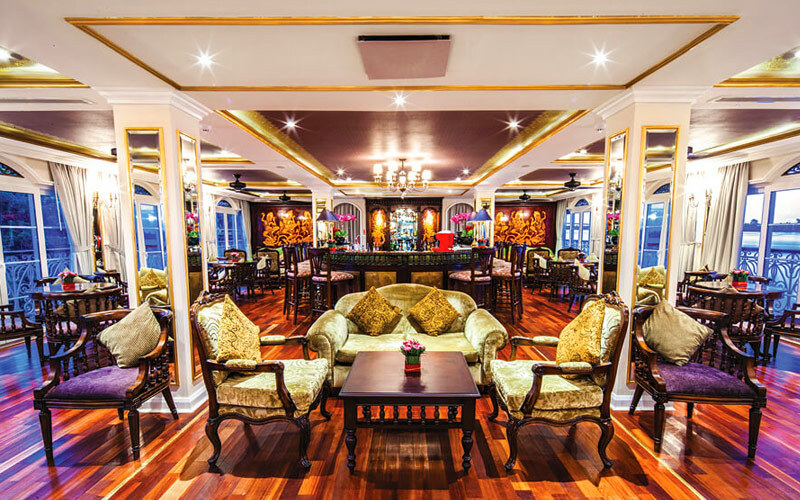 Uniworld's Mekong Navigator also features Le Salon Lounge with full-service bar on the Sun Deck, La Bibliothèque Library and Internet Lounge, the Observation Lounge, Le Marché Restaurant, and La Vie Spa and Fitness Center. 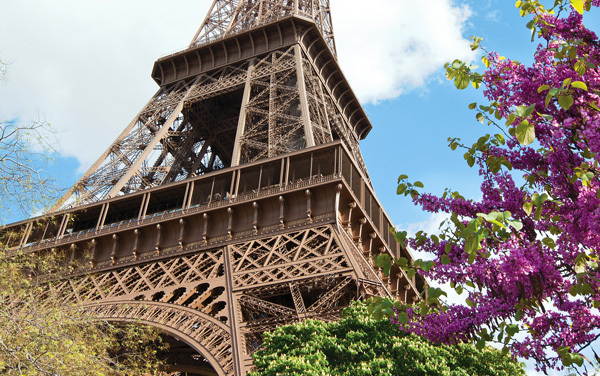 Give us a call today on 1-800-377-9383 for details on itinerary. 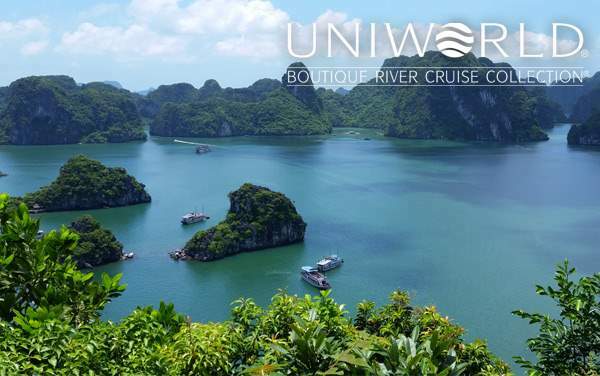 Cruise to Southeast Asia for a region that will offer exciting attractions and people, from Ho Chi Minh City to Phnom Penh. 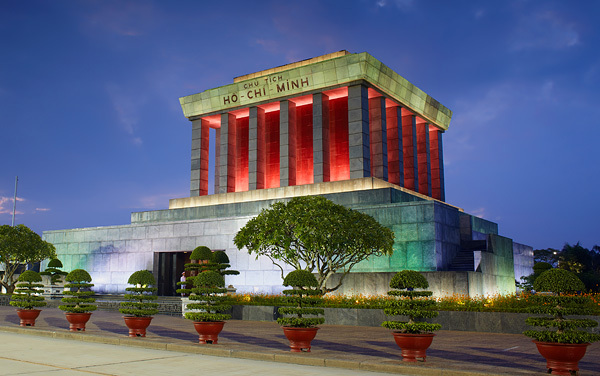 Despite a turbulent past, Ho Chi Minh City is evolving at a fast pace and offers travelers a look into its storied past and hopeful future. 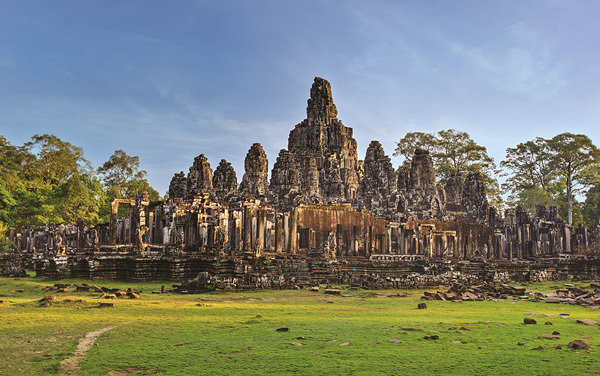 Exploring Siem Reap, Cambodia can be considered a timeless wonder because of the temples of Angkor, A UNESCO World Heritage site. 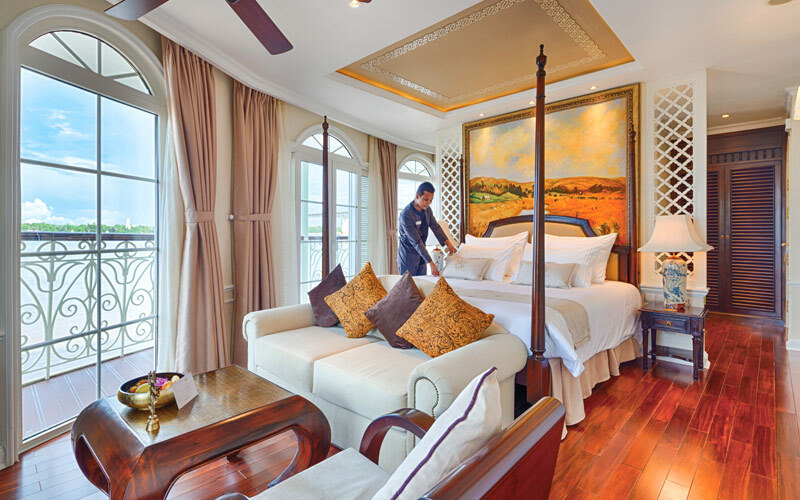 Every suite is a beautiful and tranquil retreat, a blend of timeless elegance and modern conveniences and luxuries.